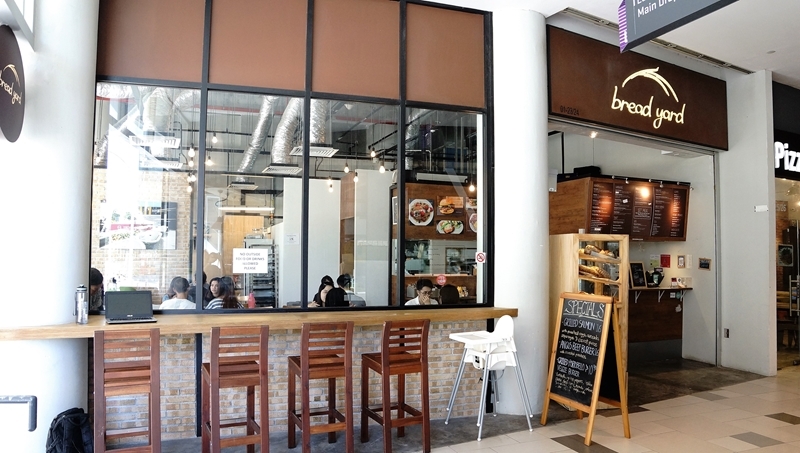 Bread Yard – as the name implies, revolves around the passions of bread and reflects well in most parts of their menu. 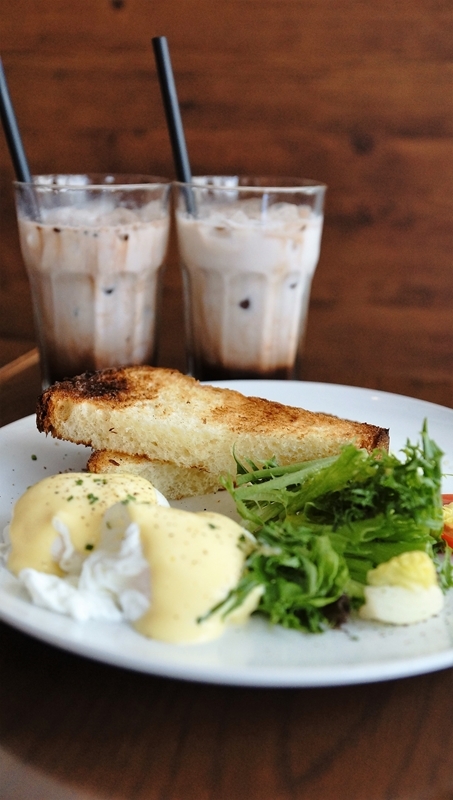 Toasts, pancakes, sandwiches and bread puddings make up the main bulk of the items. Steak and chicken apparently fall back only to the supplementary items. Breads are handcrafted with a modern symbiosis of Japanese and European techniques. It defeats the purpose of visiting BreadYard without ordering the bread dishes. 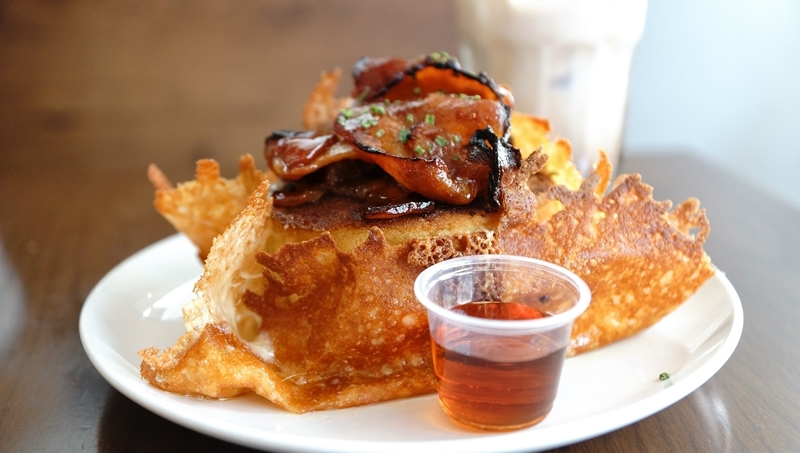 The pancake was aesthetically pleasing – two brown fluffy pancakes sandwiching a fried egg and topped with candied bacon that tasted like bak kwa or bbq pork. The pancake was encrusted by grilled crispy cheese that gave the whole taste an extra zing. Douse the maple syrup over and you can savour a unique pancake that meets most of the diner’s expectations of a good pancake. The two triangle toasted white bread was too coarse in texture and slightly over toasted, we would have preferred something more moist and refined. Fortunately the two poached eggs helped to alleviate the dryness. For $6, add on some greens and a simple dish for budget diners. Besides the traditional bread displayed on the shelves, Bread Yard has included some tarts to satisfy the sweet tooth. 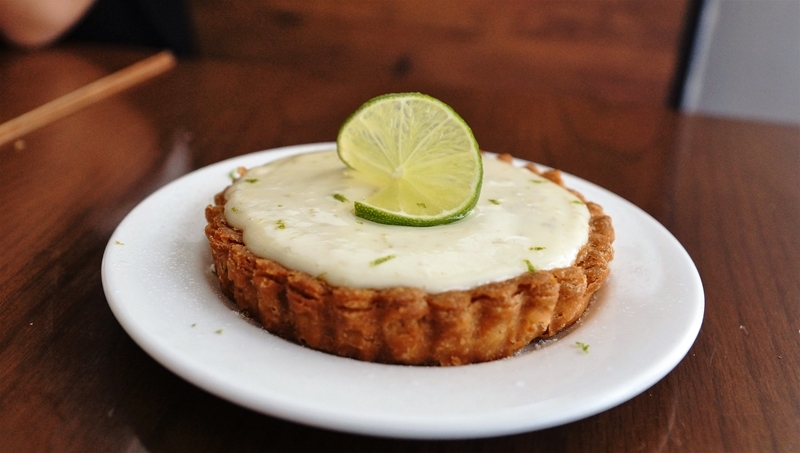 The salivating key lime curd was seductive and temptating. We like the good balance of sourness with a tad of sweetness in the curd, the base biscuit may be a little too hard and could be more buttery. At Bread Yard, you must love bread to fully enjoy the dishes, it is their speciality and worth a try.